Living just outside of Charlotte, NC I have the ability to drive west a few hours and be in some of the most beautiful parts of the Blue Ridge Mountains. A short drive east takes us to the coast. Being in such a unique area, I can take the family on a day trip and experience as much of the outdoors as we want. 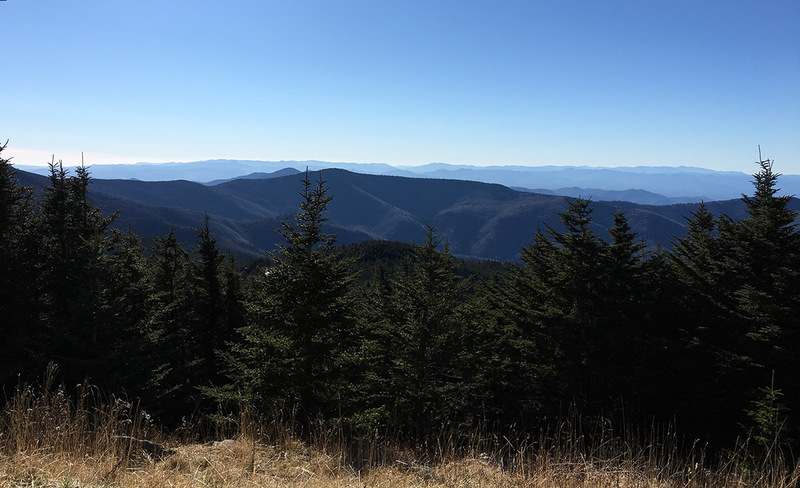 Today we decided to drive up to Mount Mitchell as it’s a place I’ve personally never been. What initially surprised me is from Charlotte to the peak is only 128 miles or two and half hours away. We loaded up the minivan and away we went. The drive up was interstate all the way until exiting highway 40 in Marion. The road promptly turns into a twisty road taking you straight up the mountain to the scenic Blue Ridge Parkway. I was hating that I was in the dad mobile, minivan, at this point. Being on a motorcycle or in a sports car would be tons of fun. The parkway itself has lots of scenic overlooks. In a span of 12 miles, I counted at least a half a dozen. Unfortunately, this time of the year most of the leaves had already fallen off the trees. We missed the changing of the autumn leaves by a few weeks. From the entrance the summit is just a few minute drive away and once reaching it you have to walk about 300 yards to reach the very top where an observation deck sits to see panoramic views of all the mountains. 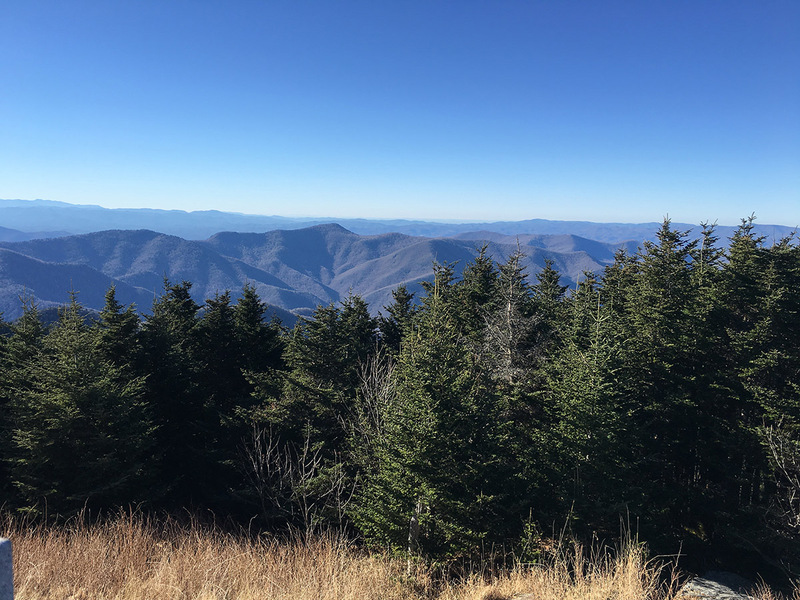 Mount Mitchell is the highest peak east of the Mississippi River with an elevation of 6,684 feet. What was most surprising during the trip is the temperature difference between home and the summit. As we climbed the mountain we could see icicle’s on the rocks beside the road. The kids enjoyed that almost as much as the roller coaster curves of the ascent. In Charlotte, the high for the day was 62, but on top it was windy and almost 32. Here are a few photos from the top. On the way back down the park features a restaurant that we had planned to eat dinner at, but it was closed because this time of year is the offseason. 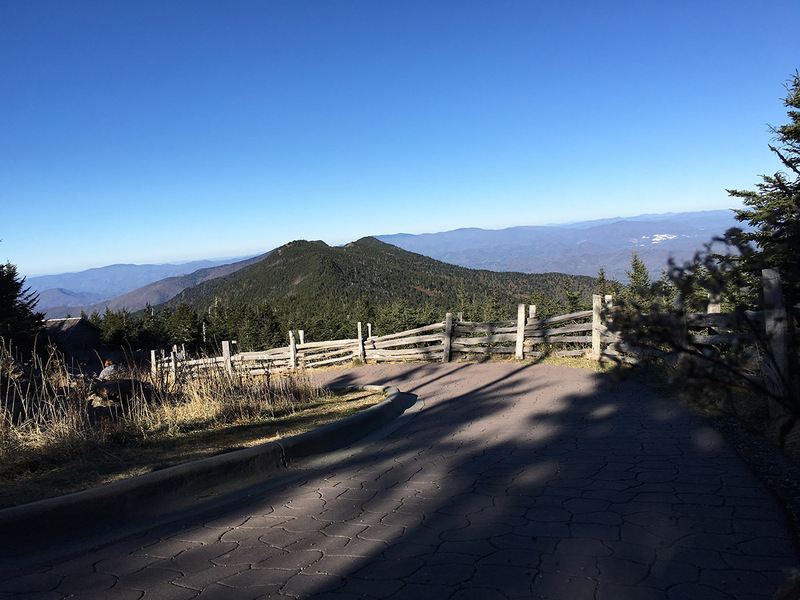 Mount Mitchell is a cool place to visit and take the family. I’ve heard it does get very busy during peak times so plan your trip accordingly. Going in November turned out to be nice because we experienced almost no traffic and only about a dozen people at the top. So we could enjoy the scenery without worrying about the kids falling off the side. If you’d like to find out more about the park visit the official state website that has all the details and history of the park itself.